As the saying goes, your feet are connected to your hips and Lumbar spine and everything else in between. Scientific Research has shown this connection as one of inter-dependency. In other words the proper alignment of your feet and more importantly, your three arches, directly affects the alignment of the structures above it, including your Lumbar spine. Loss of any of the three aches of your feet can produce back and neck pain. One of the most common causes of back pain is Poor Posture created by the loss of Arch Support. ​ My Patient's Questions Answered! This month I answer some of the most common questions I am asked through my web site, as well as, through my Initial Consultations with new patients. Despite the fact that the profession of Chiropractic Medicine has been around for over 111 years, is included in all medical insurance benefit packages including Medicare, as well as, Auto and Worker's Comp plans, and that medical providers regularly refer to Doctors of Chiropractic, myths and misconceptions still abound. So here's my attempt at de-mystifying and de-bunking the stories that are still out there. My goal here is to bring hope to those suffering needlessly with pain. Question: Does getting adjusted "hurt"? No, it actually feels great getting adjusted/re-aligned/ manipulated. Think of it this way: imagine carrying a 50 pound bag of rocks all day long over your shoulder and suddenly I told you "drop it immediately"! How do you think you would feel? Well that's how getting adjusted feels like to the majority of my patients. All muscle spasms and pain gone...in an instant! In the hands of an experienced and caring doctor, each treatment should produce that same feeling. Question: Is it true that once I start Chiropractic care I have to keep going indefinitely? No, that is not true. 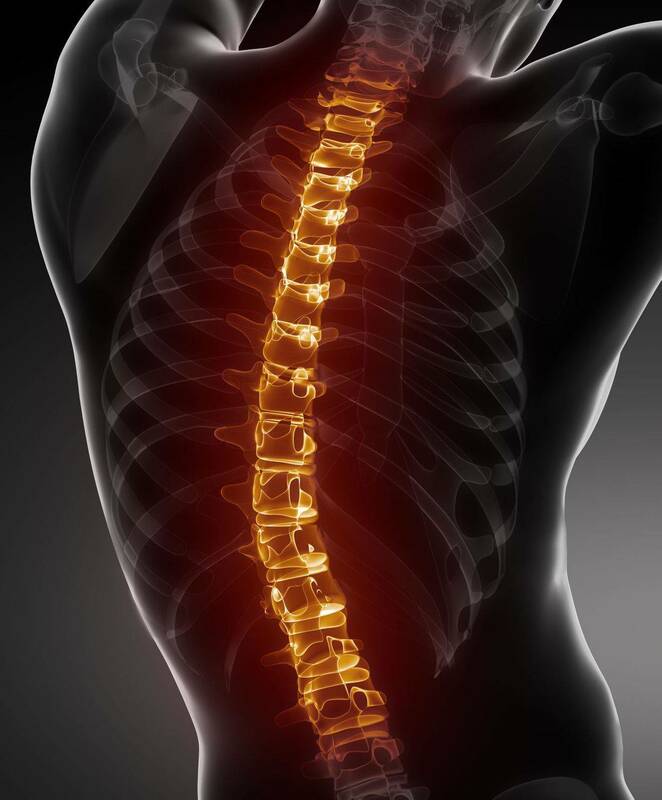 Once your pain is gone or almost all gone and your spine is stabilized, no more treatment is necessary. But I do have patients who choose to be proactive in that they keep their spine as healthy as possible by getting adjusted regularly. Imagine going to your dentist for a cavity but never going to him/her ever again for a cleaning. Preposterous! Question: Is Chiropractic care expensive? Does my Insurance pay for Chiropractic? What about co-pays and deductibles? Physical Therapy: Hundreds of dollars. What's important to note about all of these treatment options is that most back pain do not need such extensive, invasive, and oftentimes, life altering procedures. Most back pain respond best to Chiropractic care. And scientific research worldwide bears that out! Most if not all insurance plans cover Chiropractic care. And at my office ( and no other office in the Lehigh Valley, I know because I took a poll) co-pays and deductibles are never a reason for not receiving care. Oftentimes co-pays and deductibles can be waived or reduced significantly depending on your financial situation. If fact, I have the most affordable and budget friendly Cash Plan in the Lehigh Valley for those with no Insurance, Multiple Co-pays and High Deductibles. Question: Does Chiropractic care work on other types of conditions besides Back Pain? Chiropractic has been MOST effective on NECK PAIN, BACK PAIN AND TENSION TYPE HEADACHES. It has a 50% success rate on Migraines. Chiropractic care has also shown to be effective on common childhood conditions like TORTICOLLIS, OTITIS MEDIA, ALLERGIES AND COMMON SPORTS INJURIES. Research conducted in the US also point to Chiropractic's effectiveness on Whiplash injuries and Injuries sustained at work. In fact, people who seek chiropractic care after an injury at work, return to work faster at a lower cost then those who seek medical care. * Copies of Research materials and Scientific studies mentioned in this article are available upon request. Clearly the most common cause relates to posture. This includes work posture, sleeping posture, and daily living posture. The most common postural deviation: Lumbar Hypo and Hyper-Lordosis and Cervical Anterior Carriage. Both of these deviations from the norm will lead to back pain, neck pain, headaches, sciatica, as well as, pain, numbness and weakness of the extremities. Both causes respond favorably to Chiropractic care. Evaluating your posture can be easily done using the 3-D Posture Analyzer System available in my office. It serves as the Foundation for Corrective Spinal Management, which is geared towards correcting both Hyper-Lordosis and Anterior Head Carriage. Call to schedule your FREE 3-D Posture Exam today! There are over 3 million people that get into rear end crashes and suffer Whiplash Injuries. Only about 10% will seek care from a Doctor of Chiropractic. The rest of the people will not seek any care at all or seek care from inappropriate and ineffective health care providers. From this group, about 43% will suffer with Chronic Neck Pain. This condition often leads to Degenerative Disc Disease, Headaches, Upper Extremity Weakness, and a host of other health care issues that involves the heart, lungs, immune systems, vision, hearing and organs and muscles of the throat. More than half of the people that are involved in these type of crashes are women, who wore their seat belts, and with car speeds not exceeding 12 mph. Unfortunately, most of these people do not seek the most effective care available for Whiplash; Chiropractic care. Research has shown that people who have seen Chiropractors immediately following their crashes have recovered enough to prevent Chronic neck pain. Chiropractic care is best known for relieving back and neck pain without the use of drugs or surgery. It is the most popular and most natural healing treatment in the world! If getting healthier is your goal, make Chiropractic care part of the plan! Low Impact, Rear end crashes can cause moderate to severe injuries to anyone's Cervical Spine. Research has shown that speeds of no more than 3-12 mph are the most common speeds reported for a neck injury to occur. Research has also shown that choosing to receive chiropractic care immediately after an accident results in a lower percentage of suffering with life long chronic neck pain and headaches. I am one of only a handful of Whiplash experts in the state of Pennsylvania. And the only one who holds an Advanced Masters Certification in Whiplash and Brain Traumatology, in the Lehigh Valley. What does this mean? Not only the best care possible for your injury, but the most professional and experienced care available today. Scientific research over the past 10 years followed tens of thousands of injured workers that complained of back pain that occurred from an incident at work. 1. Returned to work faster as compared to medical and physical therapy care. So if your goal is to get back to work as fast as possible, Chiropractic care should be your first choice.